While doing about 7,000 interviews over the years it seemed half the later interviewers said "You should write a book!." I started putting the words down, and 2500 interviews later it was coming together. The next several years were spent editing and making it a story, instead of a list of events. As a teenager it was definitely the life I picked, to be a troubadour musician and see the world. It was challenging to weave the story of a guy who went from dork to nerd to banjo player in with family life, and travels living the dream of being part of known band I helped start. s candidly and movingly about the ups and downs in his life. Among the highs was NGDB's tour of the Soviet Union in 1977; they were the first American group to perform there. Among the downs was the breakup of his family and leaving the band (the first time) in the same week. 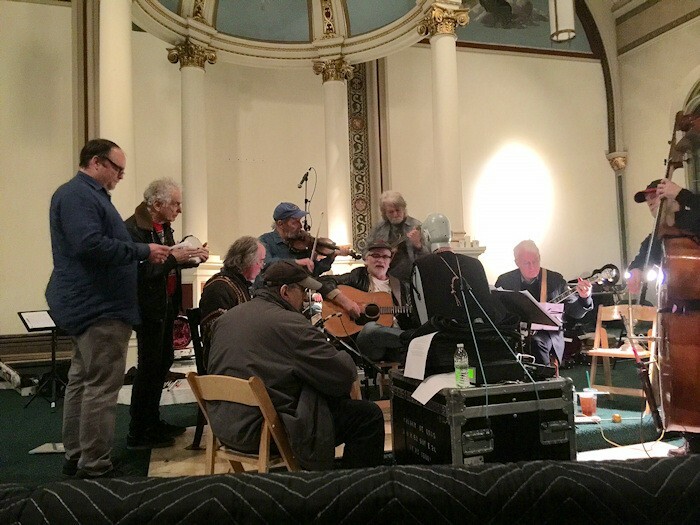 McEuen is a born storyteller, and his tales of working with everyone from Linda Ronstadt to Willie Nelson to Johnny Cash to the Allman Brothers to Bob Dylan to Dolly Parton to Earl Scruggs, to of course, Steve Martin will thrill every fan of folk, rock, and country music alike. 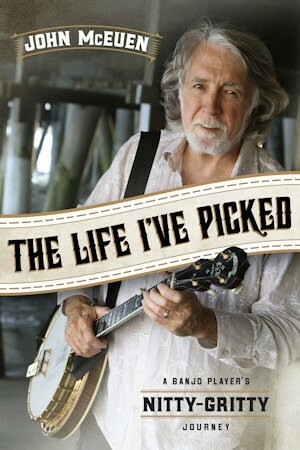 "John McEuen finds joy in the 'experience and experimentation of music.' 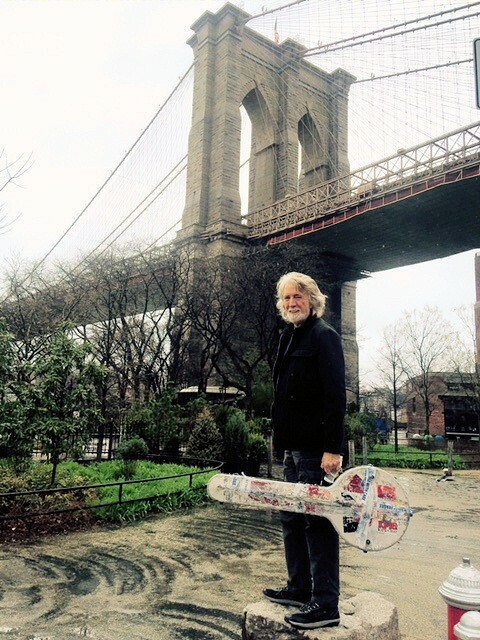 MADE IN BROOKLYN highlights John's wizardry in his own musical interpretations and showcases his talents in surroundings where he is most comfortable--alongside great musicians, recording great music with carte blanche freedom to create. Featuring Bluegrass, Blues, New Orleans grooves, plush instrumentation and stories, this project shines." 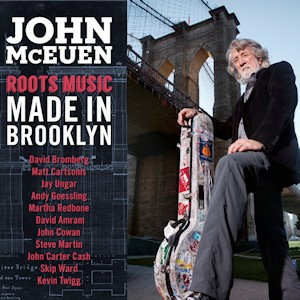 "John McEuen's MADE IN BROOKLYN is this year's juiciest slice of Americana music. Just as UNCLE CHARLE and WILL THE CIRCLE BE UNBROKEN added new dimensions to the tradition of great American string-band music, this album forges new creative and technical ground in the simplest, most unsuspecting and spontaneous way--from within a great room, with fine songs, and a gathering of gifted friends who perform before one microphone. MADE IN BROOKLYN is a wonderful, musical movable feast." “Played MADE IN BROOKLYN on my program and my request lines lit up! This will be my constant companion for many months to come." ~ Al Shusterman, KUBU Radio "Backroads Bluegrass"
~ Three-time Grammy Award winner, Steve Vai, who has recorded with Alcatrazz, David Lee Roth, Whitesnake, Mary J. Blige, Spinal Tap, Ozzy Osbourne and many more and named one of the "Greatest American Guitarists" in the world (Guitar World).